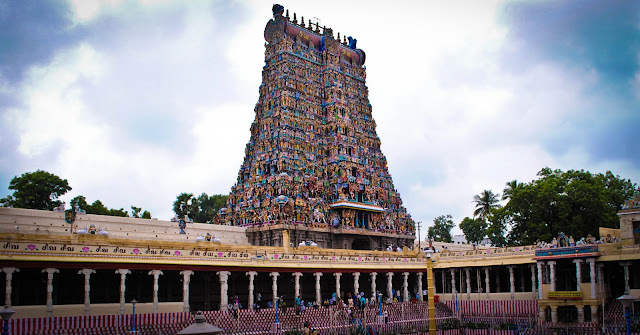 One of the oldest continuously inhabited cities of India, Madurai traces its history back to the Sangam era before Christ. 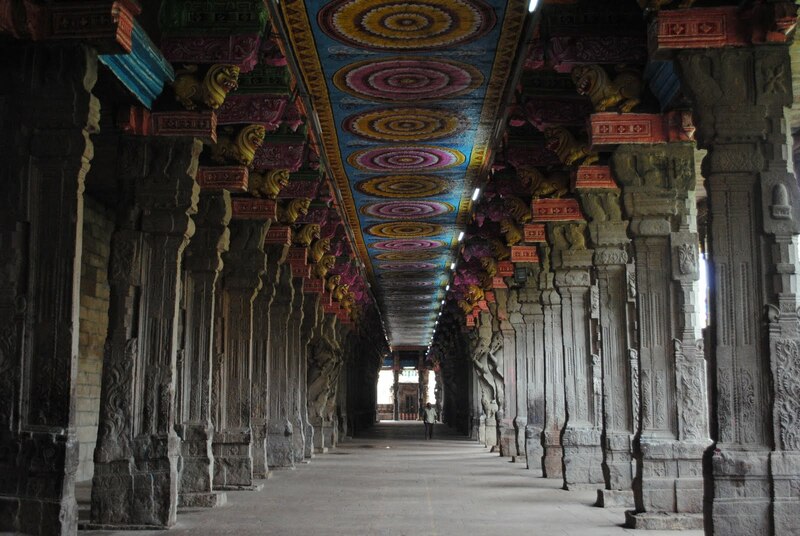 It has been under the Pandya and Chola kingdoms and their influence on the heritage is still evident. I have made several trips to Madurai Before, but this trip was different in the sense that as many other trips, it was not planned. We were actually going to Kodaikanal and decided to have a stopover here for a day. Well, we did not regret that. 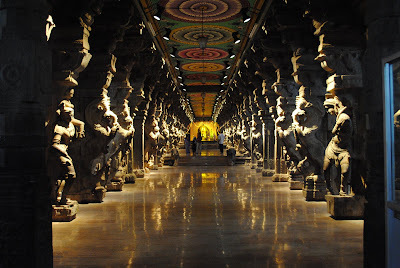 The best way to reach Madurai from Chennai is by train is both cheaper and more comfortable. But if you are as godforsaken as us who never plan on time and hence never get train tickets, you have to rely on the bus service. So we took the bus from Chennai and after a journey of nearly 10 hours, reached Madurai in the morning. Since we were so near to the famed Meenakshi temple, this was the first on our agenda. So the first thing we did was to find a cheap hotel in one of the by lanes near the temple, dump our bags, take bath and start for the temple. 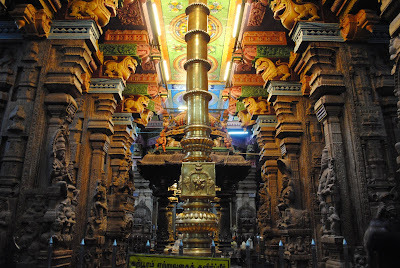 Some trivia about Madurai from Wikipedia, “Madurai is built around the Meenakshi Sundareswar Temple. Concentric rectangular streets surround the temple, symbolizing the structure of the cosmos. 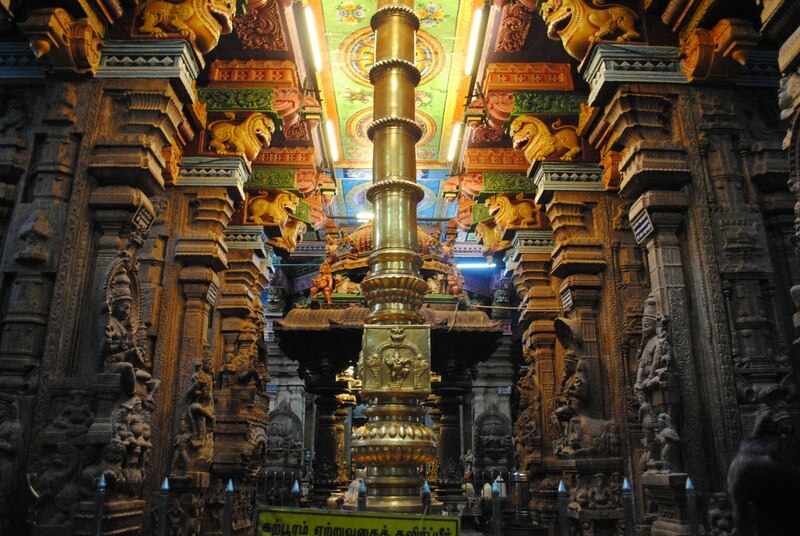 The entire city is laid out in the shape of a lotus…” Meenakshi Amman Temple is a masterpiece of Indian architecture. 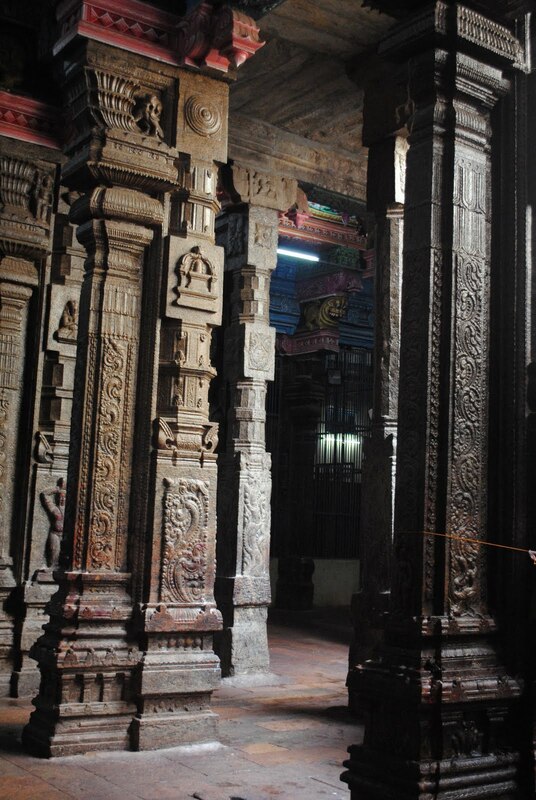 Built by the Nayakas in the 16th century AD, it is dedicated to Lord Shiva. The complex is spread over 45 acres and is guarded by 12 towers, the tallest of them reaching 50 meters. 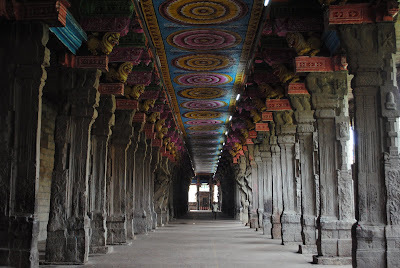 Inside the complex there are temples of many deities. We entered the hall through the Southern gate and went for the darshan. Even though it was early morning, the crowd was pretty strong. Photography is allowed inside the temple except for the inner chambers and this gave me an excellent opportunity to click some sculptural gems. The long hallways, imposing stone statues and intricate carving on the pillars and ceiling are a testimony to the degree of sophistication of masonry in India. 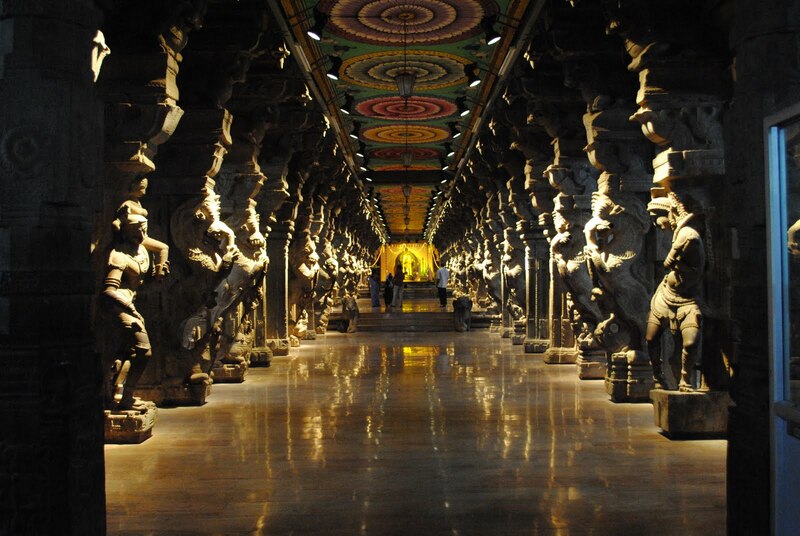 Got a chance to see the Thousand Pillars Hall recently renovated and fitted with beautiful lights. Being there was an experience in itself. There is a small in-house bazaar where you can shop for curios, bangles etc. Nearby there is an elephant too which will bless you if you give him a coin. We were there for a couple of hours and enjoyed every moment of it. In spite of the crowd and occasional dirtiness, the complex is very serene. You get transported to a different era altogether, the golden era of the Southern Kingdoms. 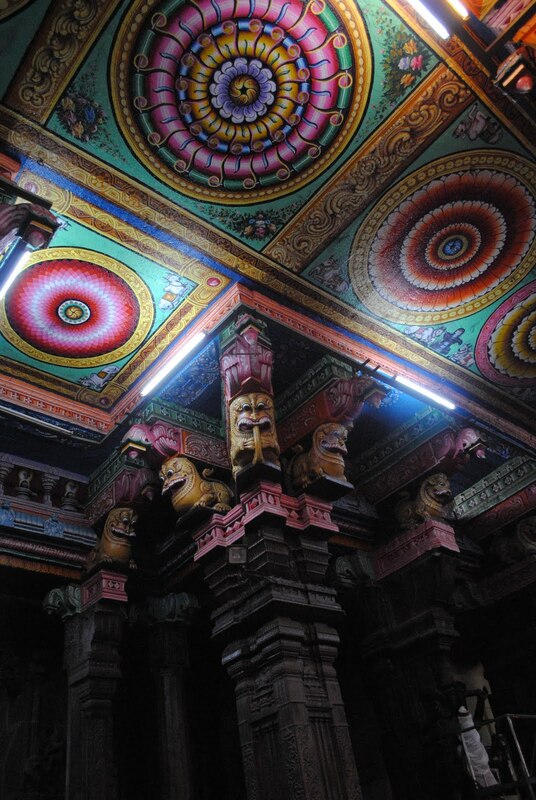 Meenakshi Temple is a magnificent architectural wonder hence deserves a post exclusively for itself. 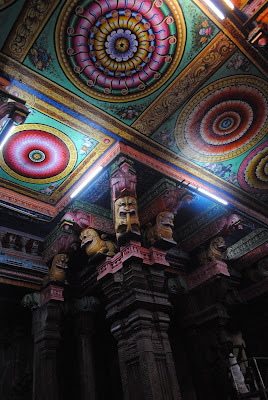 Meenakshi Temple, a set on Flickr.